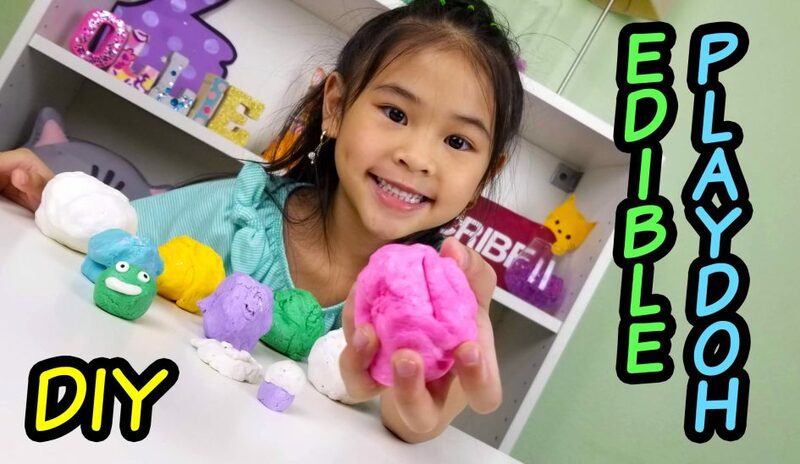 Playdough is already fun, but what can you do to make it better? 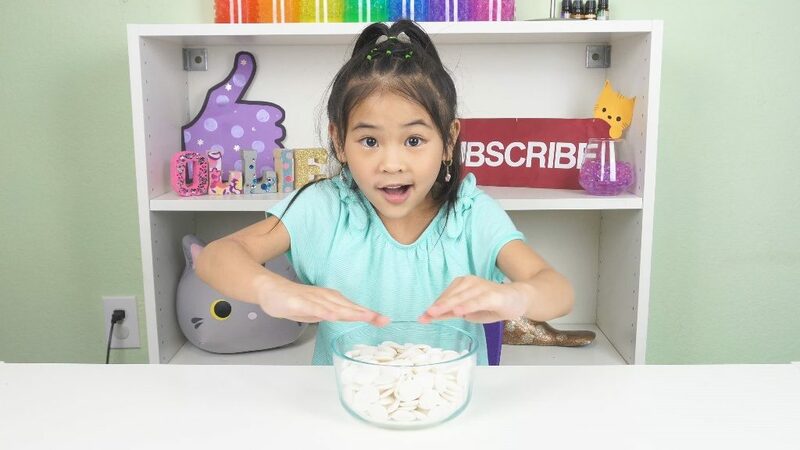 Making it edible! 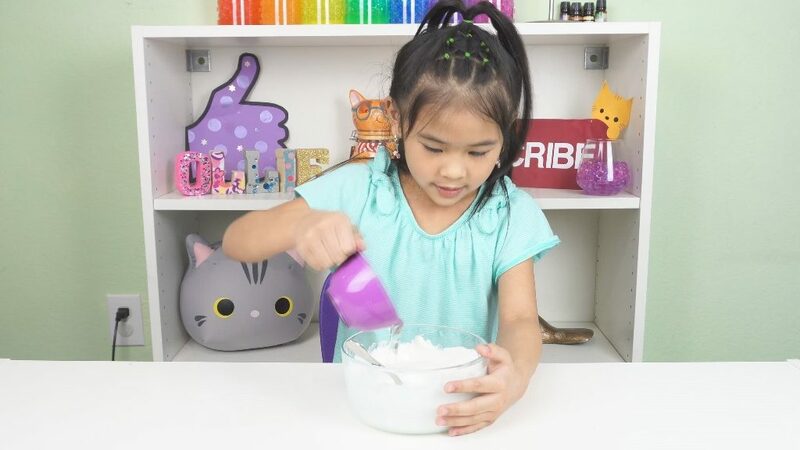 This DIY Edible Chocolate Playdough recipe is SUPER easy to make and tastes awesome. You can create cute animals, then eat them at the end! Store it in your fridge and warm it up for a few seconds to soften it back up. I used white candy melts and colored it afterwards. You can also buy pre-colored candy melts and skip the coloring step as well! Watch the video tutorial here: https://youtu.be/3yMo3b61cAY or at the bottom of this page. 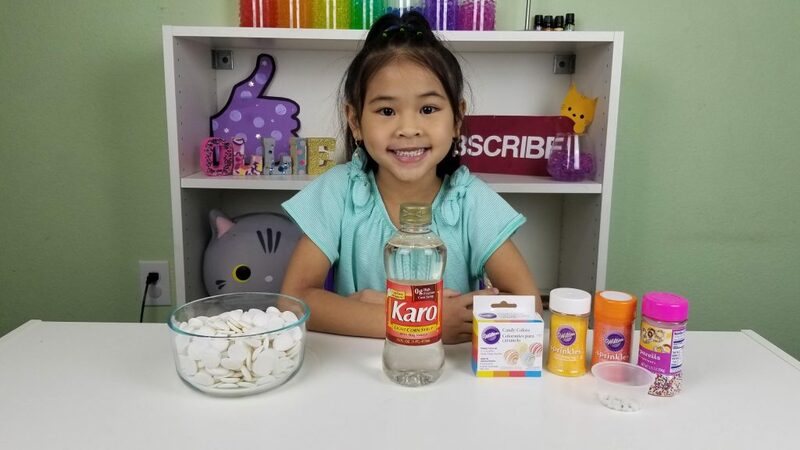 Continue reading for step-by-step-instructions! Now put the corn syrup in the microwave for about 10 seconds. This will make it easier to pour and mix into the candy melt. Immediately pour the corn syrup into the candy melt. Stir until it’s combined and stop there. It should look like soft ice cream or edible cookie dough. Do not stir any more once it’s combined. Let the dough sit and cool until it’s room temperature and easy to handle. 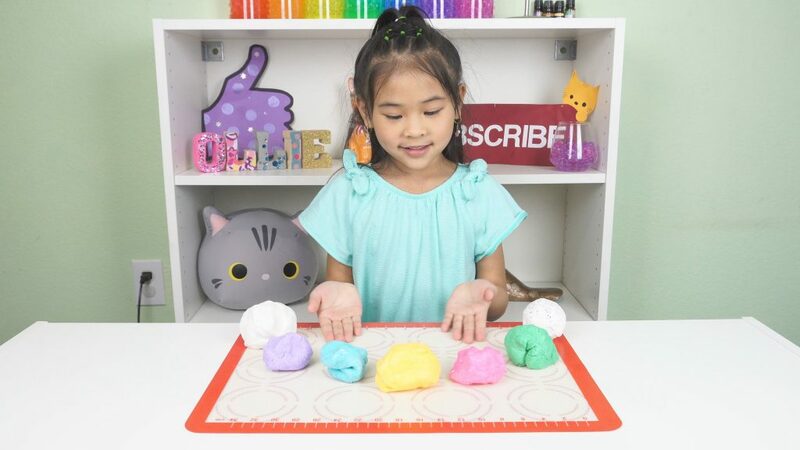 Knead the edible play dough with your hands until it’s nice and soft. 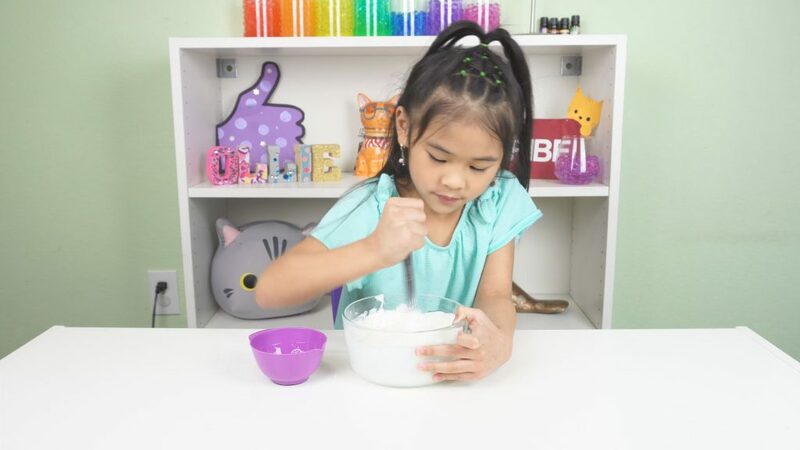 Then divide our your edible chocolate play dough and color it or mix in your add-ins! That’s it! You’re ready to play! Make whatever you’d like, and have it as a snack! Show me what you make by tagging me in your uploads!